Join our newsletter for more great deals! We need an email address to send you a backup book download link. Downloading this free ebook will add you to the author's mailing list. You are free to unsubscribe at any time. Thank you for your order! A copy of the download links below have been sent to your PayPal email address. Revenge is sweet...and best served cold. Kara Summers recently returned to her hometown of Sunny Shores, Florida to start her own food truck business. Little did she know her summer would start off with a bang…literally. A propane explosion caused the Mama Mia Food truck to flame up, with the owner inside. The police ruled it an accident, but Kara discovers evidence to the contrary. Her inquisitive nature, along with her love for mysteries, won't let her rest until she uncovers the truth. Unfortunately, the truth hits a little too close to home. 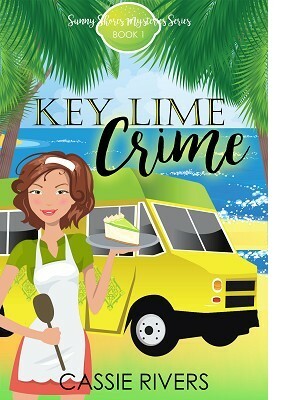 Key Lime Crime is book one in the Sunny Shores mystery series that is set in the fictional town of Sunny Shores, Florida. Each book in the series is a light-hearted cozy stand-alone story with no cliffhangers. All ages can enjoy the stories because they have no swearing, naughty content, or graphic violence. So, what are you waiting for?